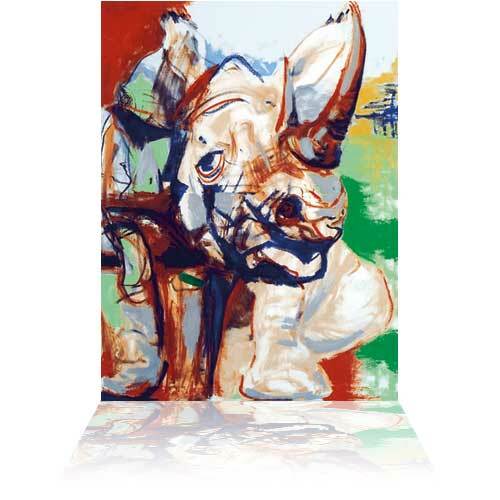 This is a perfect example of the great range of subjects Ronnie Wood art draws upon from his own life. 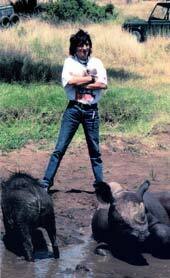 For several years Ronnie Wood has been a champion of the endangered African White Rhino. This interest has gone far beyond celebrating these amazing but threatened animals, as Ronnie has contributed to the creation of a refuge designed to protect them from poachers.